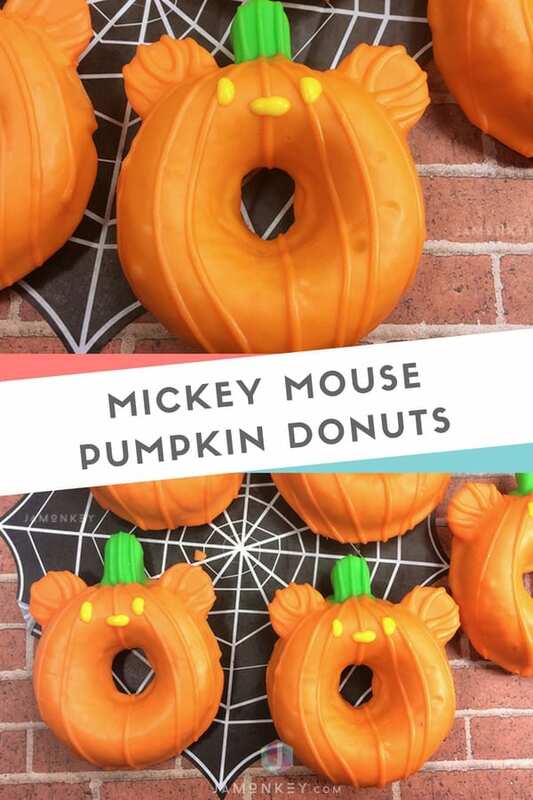 These Mickey Mouse Pumpkin Donuts are a cute way to get excited about the Halloween season. 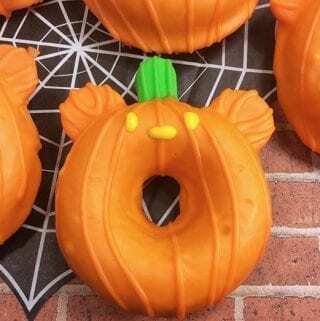 Made to look just like the Mickey Mouse Pumpkin you see at Disneyland. Disney Halloween food is always fun to make. 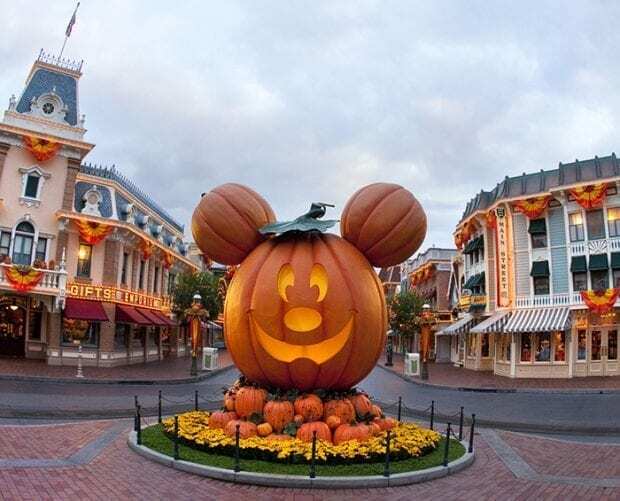 One of my favorite times to visit Disney Parks is during the Fall when the park is filled with Mickey Mouse Pumpkins! In Disneyland, it is the centerpiece on Main Street USA. You can also find them on the lampposts, surrounding the castle, and at Treat locations during Mickey's Not So Scary Halloween Party. We also have a Mickey Pumpkin treat bucket to use when we trick or treat at home. He's kind of my favorite! So I'm so excited to share with you this fun Mickey Halloween recipe with you. 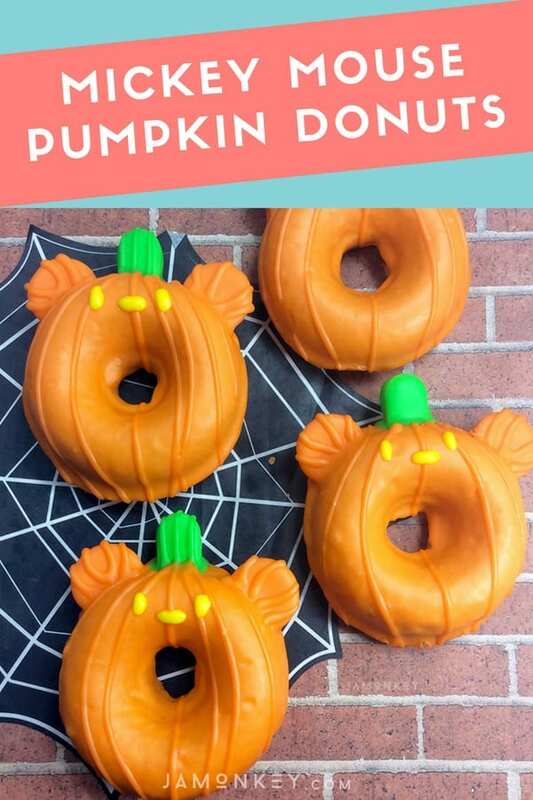 Making donuts at home is super easy with a donut pan , and you can decorate them in all kinds of fun ways. Not to mention the kids love eating them. 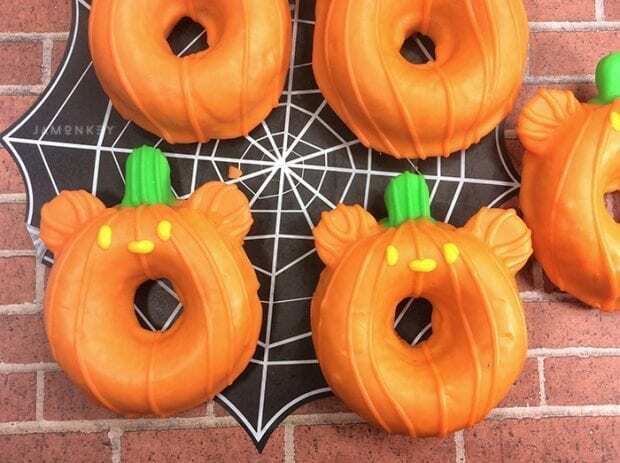 To turn these donuts into Mickey Mouse Pumpkins we are going to do some decorating. 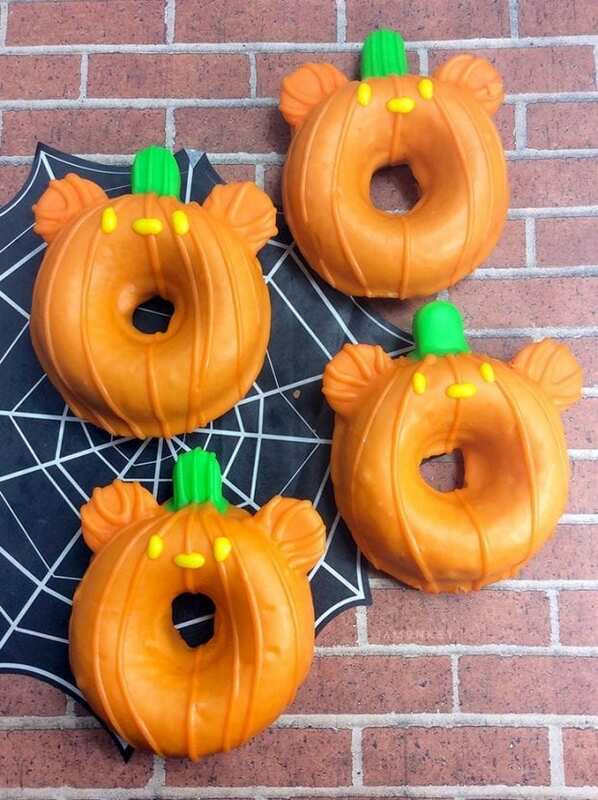 The outside of the donut has orange candy melts for Mickey's ears and the outside coating. If you would like to skip the hard candy stem, you can also try these green apple licorice sticks for the stem! Then you decorate the lines and face with icing. Using a sharp knife, cut slits into the top corners of the donut for Mickey's ears. Using the green piping bag, pipe 3 lines onto the "Stem"
Allow drying completely before enjoying! If you would like to skip the hard candy stem, you can also try these green apple licorice sticks for the stem!